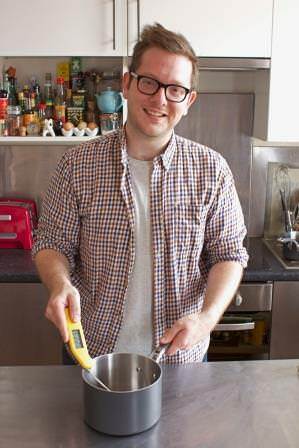 Edd Kimber, Great British Bake-Off 2010 winner says he couldn’t do without his SuperFast Thermapen® because he relies on the simple-to-use digital food thermometer to give an accurate and near instant reading. Cook the sugar and water in a saucepan over a medium heat. When your Thermapen shows the syrup has reached 115ºC, use an electric mixer to whisk the egg whites in a heatproof bowl. Once the sugar syrup has got to 118ºC pour it into the eggs, whisking constantly. Continue whisking and begin adding the butter a few pieces at a time. As you add the final few pieces you’ll find the texture will change into a silky smooth buttercream. This can be flavoured with jam, lemon curd, chocolate or anything you fancy. 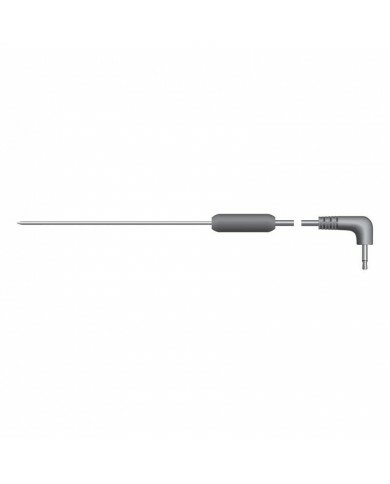 The British-made SuperFast Thermapen is a kitchen essential for all food enthusiasts; perfect for baking, checking meat dishes, jamming, working with sugar or tempering chocolate.